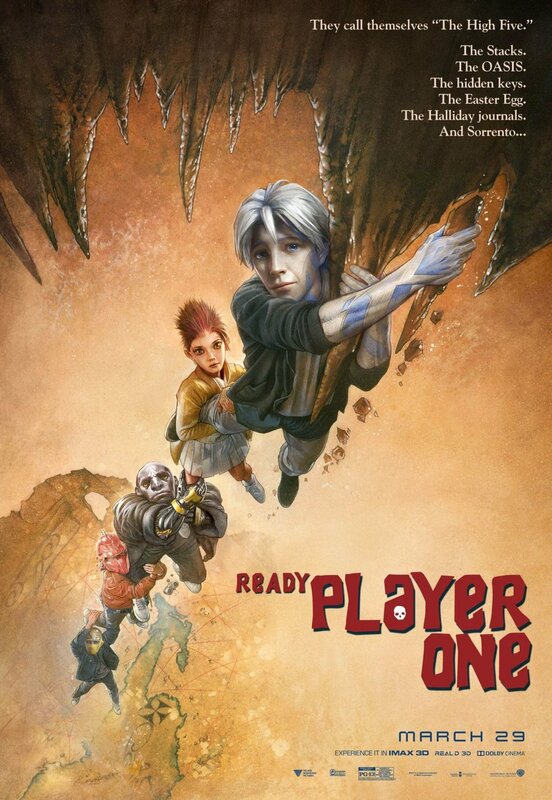 We've got some more Ready Player One goodies for you today! 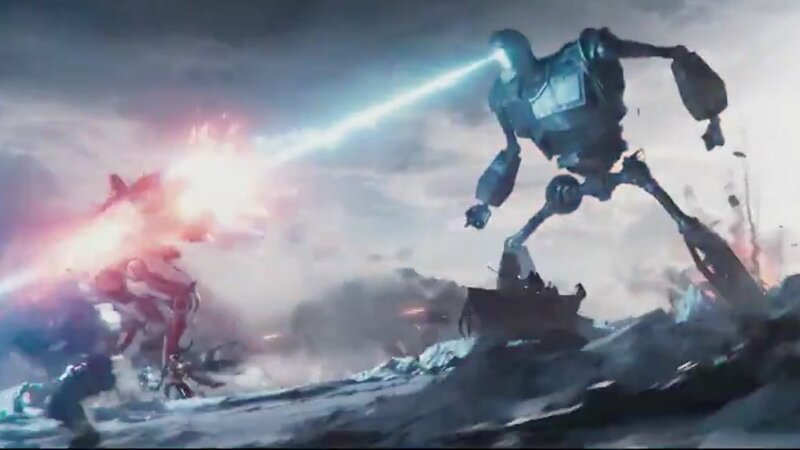 A new promo spot has been released that offers fans plenty of new footage including Batman climbing Mount Everest, more footage of The Iron Giant in action, and Chucky going ballistic. I've also included high-resolution versions of those new posters for the film that pay tribute to classic movies of the past. These are much better versions of the ones we previously posted. 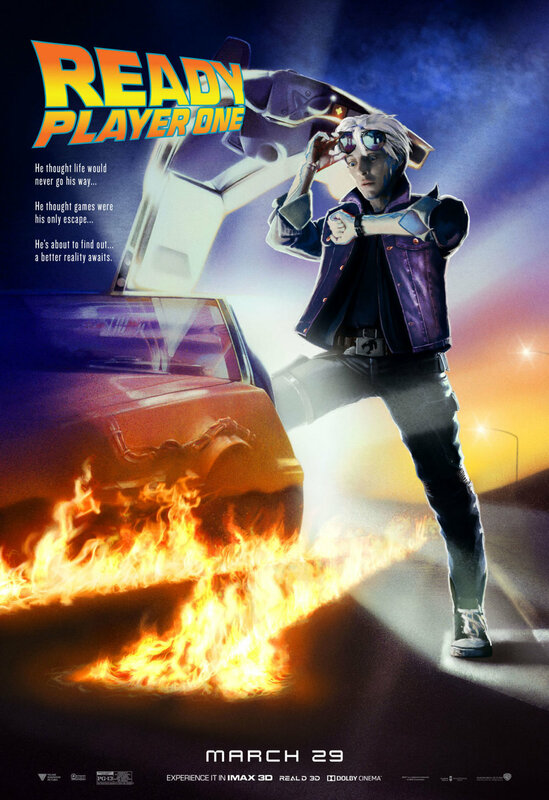 The posters were inspired by The Goonies, Back to the Future, The Breakfast Club, Beetlejuice, Blade Runner, The Matrix, Labyrinth, Risky Business, Bullitt, The Lost Boys, Rambo, and The Iron Giant. I've seen a lot of people giving those posters crap, but you know what? They were made all in good fun! It fits right in line with what this movie is about. I just assume the majority of the people who don't understand what is going on with this movie and are constantly talking crap about it, haven't read the book. If that's the case, and they consider themselves movie geeks, I hope they remedy that and read it. I'm really curious to see how this movie does at the box office and what audiences will think of it. I really hope that it's a success, but we'll just have to wait and see what happens. In the meantime, enjoy the new TV spot! 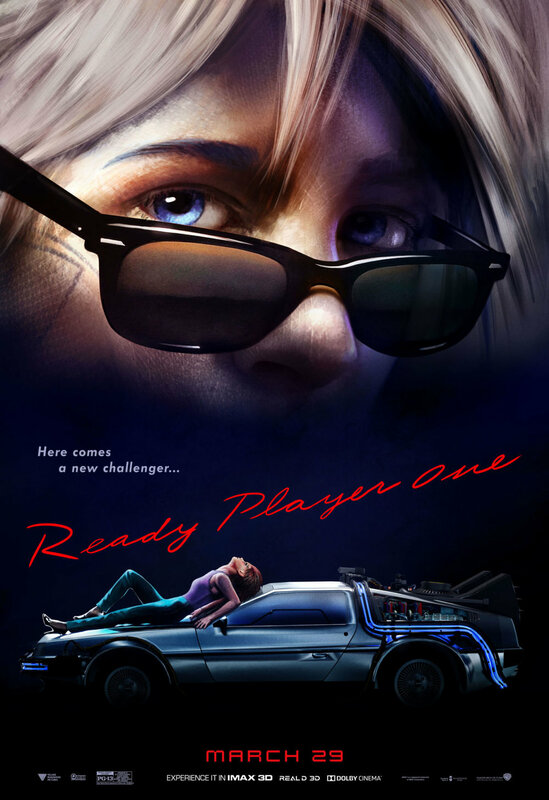 Exciting New TV Spot and Featurette For READY PLAYER ONE Includes New Footage and More! New Promo Spot For READY PLAYER ONE - "Win The Game, Change The World"